Expanded section operating procedure 1, the first extruder using a client should first one out of the production line to drive properly without failure, then open the extruder. Extruder leaching skilled operatives puffed leaching can be directly used, but should gradually increase production to meet the design production. 2, puffing machine drove preceded by checking to make sure the embryo conveyor dryer sheet extruder equipment operation between good and clear internal product materials and agglomeration, check to make sure the dryer after puffing, puffing machine and drying the material scraper dryer exhaust fan works well. Expanded section operating procedure 3, check the hydraulic system test run: the tapered plug forward and backward twice, determined without exception will advance to taper from 50mm extruder at the discharge port. 4, puffing machine magnetic separator and clean up the feed chute. And to ensure that there is no iron into the extruder barrel in the production process. 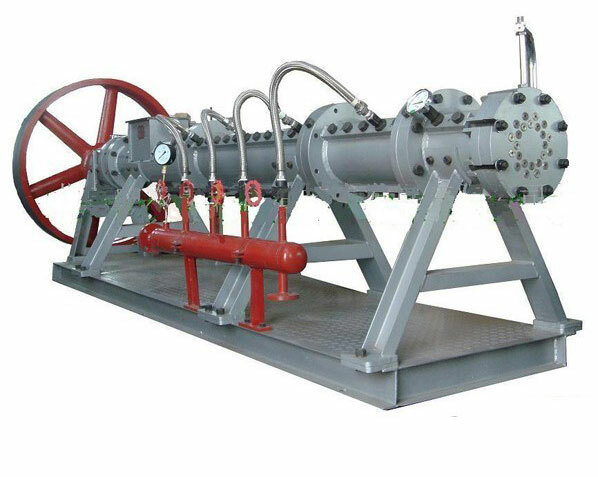 5, preheat Extruder: Turn Extruder preheat steam puffing machine, running machine puffing about once every five minutes, every one minute, so virgin bore extruder uniform preheating, preheat temperature is about 60 Celsius â„ƒ extruder. with feed production conditions. 6, shall promptly notify the leaching plant puffing machine is ready to open. 7, followed by open extruder discharge scraper, after puffing drying machine, dryer and heating steam dryer exhaust fan, with a dryer sheet to transport equipment between extruder. Expanded section operating procedure 8, open the extruder feed gate. Feeding off a leaching gate. To the extruder feed. 9, open the extruder feed auger, adjust the drive, so that the feed auger speed in the middle. Excess embryos sheet extruder go back puffing after auger directly into the dryer. 10, before feeding into the extruder at a standstill, preheat steam slightly open. Be green sheet before entering the extruder feed chute, first open the extruder, to be green sheet into the extruder barrel, open the steam valve. Extruder feeding amount should match the amount of steam and puffing machine. Puffing production. 11, adjust the tapered plug forward, with steam puffing machine makes Extruder current control at about 180A ~ 220A, puffed thickness of about 12mm. 12, after puffing normal production, and gradually increase the speed extruder feed auger, with increasing steam puffing machine. Extruder production to gradually increase the extruder auger go back empty. Extruder back to normal production status auger should remain idle, the feeding amount to increase preparedness encounter transient excess material to be back in the dryer away. Expanded section operating procedure 13, met extruder feed chute when blocking material, should be closed embryo dryer sheet extruder feed gate to open a leach feed gate, inside the extruder feed will go empty, the first steam and puffing machine, back taper plug 60 ~ 80mm. 14, chute clean up after, according to the above rules restart extruder, puffing production. 15, according to the leaching requirements, control flooding divided into 8% to 9%, the dip material temperature 58 â„ƒ. Expanded section operating procedure 16, in order to avoid puffing dryer nature, class dryer should be checked at least twice, one of which should monitor the supervision and inspection, and detailed records. 17, under normal production conditions, puffed work every 30 minutes throughout the dryer should be inspected once to check for odor and spontaneous combustion. 18, if the extruder feed extruder equipment sudden stop or sudden stop discharging device should immediately turn off the germ dryer sheet extruder feed gate to open a leach feed gate and timely emergency stop bell lap. Pretreatment press leach feed production. Expanded section operating procedure 19, when the pressing screw with virgin bore gap increased to 20mm, we should update the pressing screw.